The great Crystal Gayle brings her Christmas Show to Branson. This wonderful Branson show will be a mix of her greatest hits such as "Don't It Make My Brown Eyes Blue," "Talking In Your Sleep," "Why Have You Left The One You Left Me For," "When I Dream," "Half The Way" and many more, plus Crystal’s personal Christmas favorites. 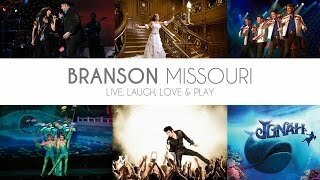 Discover all the exciting Branson shows that await you!